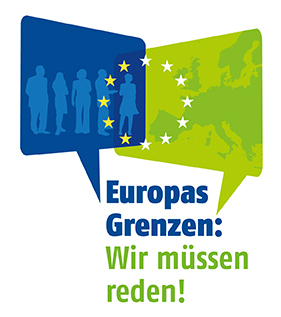 The Institut für Europäische Politik operating under the leadership of Europa Union Deutschland (EUD) invited all those interested to a civil dialogue on „Europas Grenzen – Wir müssen reden!“ on 10 November 2016 in Freiburg. In the course of the current refugee crisis, borders are established in Europe again. How do we deal with the internal and external borders in the European Union? What is the situation with regard to the EU’s capacity for action and internal solidarity? Is the European project reaching its limits? Participants discussed these and other questions with experts and policy makers. The complete program can be found below. We also invite you to a discussion after the event on www.publixphere.net. Further information about the event and about the EUD series can be accessed at: http://www.europa-union.de/buergerdialoge/europas-grenzen/.